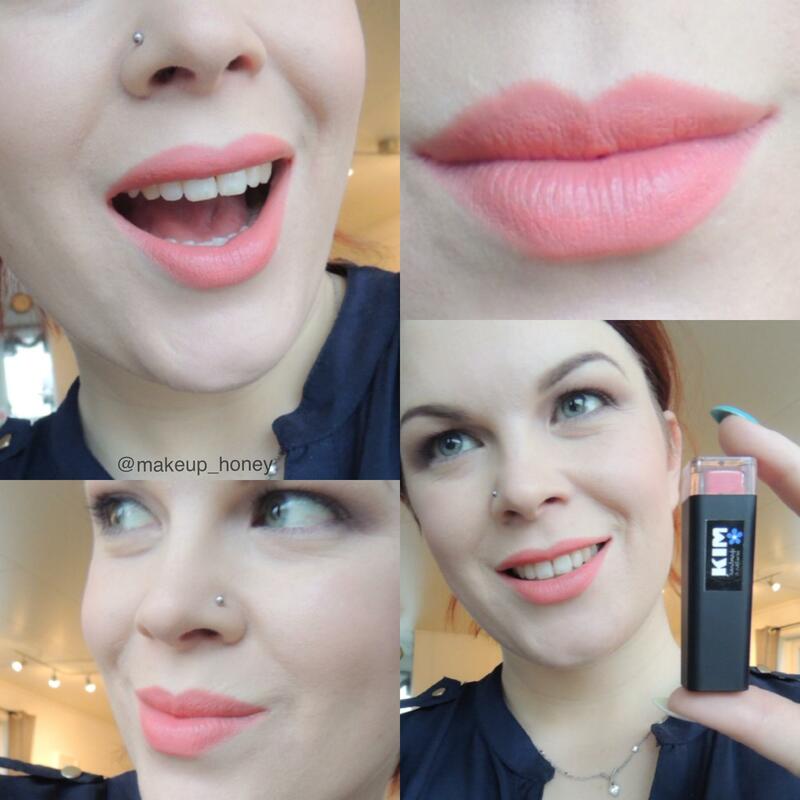 I enjoyed the KIM Cosmetics Lipsticks that much that I have about HALF of the store to test out. Rather than do it in one big post of information overload I am going to space them out a bit. In the original post I wrote about the company and the ingredients and translated everything from the website. KIM Cosmetics is a Norwegian company and the website is in Norwegian so you will need to read the original post if you are not speaking Norsk. 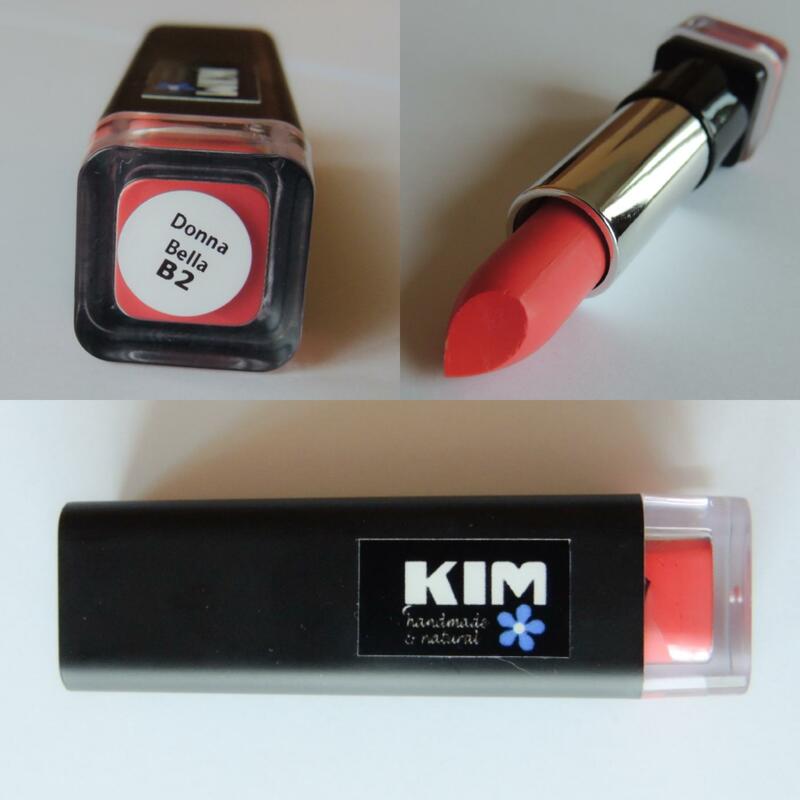 Today I have a simply gorgeous lipstick to show you from the KIM Bad Girl Collection “Donna Bella”, as with the rest of the KIM lip range, this one is a little stick of minty heaven. The mint not only smells great but it gives your pout a happy tingle that naturally plumps your lips. 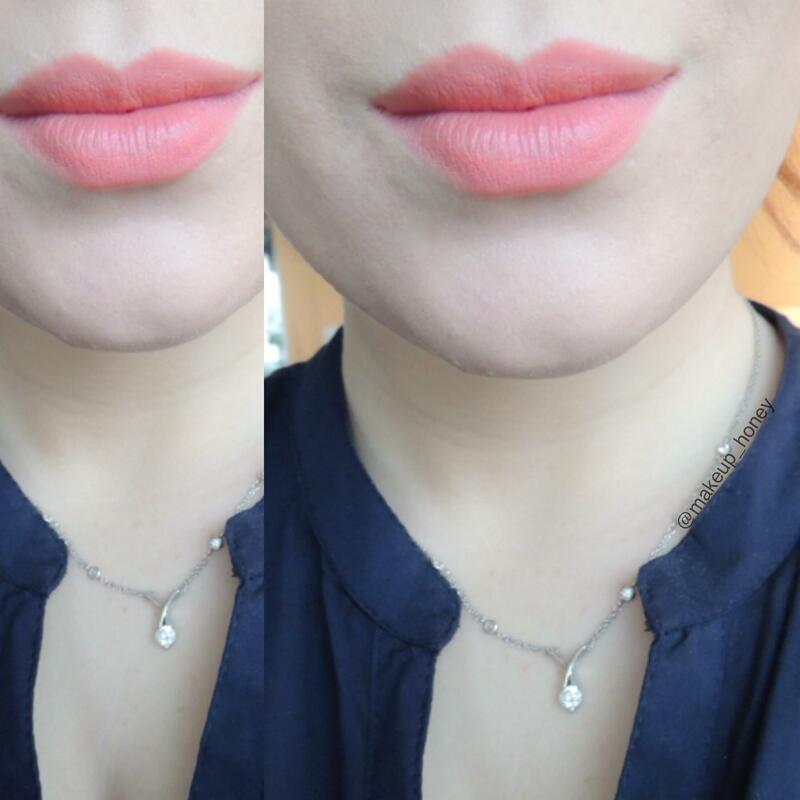 It is a coral shade which is perfect for this com in season as orange is seriously on trend this year. 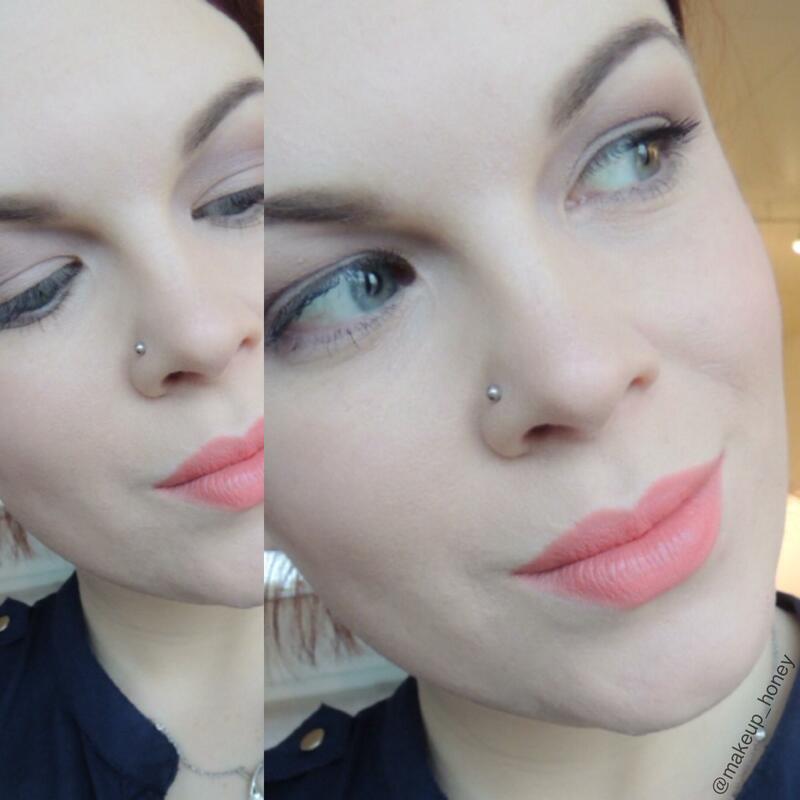 I really felt that this colour worked for my complexion, although it is a coral is leans on the pinker side of coral which works well for the paler complexions. I applied it direct from the bullet over bare lips (in hindsight I could’ve use a primer as I have been wearing the Velvetines for 4 days straight and my lips are dry) Aside from wear the product clung a little to my dry lips, it spread evenly. The pigmentation’s perfect, I really cannot get enough of the KIM lip products. My whole face is in fact KIM Cosmetics for this look. I used Benefits Oxygen WoW Foundation, Max Factor Mascara and 17 Brow Pencil, the rest is all KIM and those product reviews will be coming up in a later post but for now know that I used “Hot Mamma” Mineral Blush, “Pure Black” Organic Eyeliner, “Miss G” Mineral Eyeshadow and “Peachmilk” Mineral Eyeshadow.